The state Trumbauer Festival, which took place Dec. 1-2 at the University of North Alabama, is the premier high school theater festival in the state of Alabama, with 81 schools and more than 1,500 students participating. Cullman High School Theatre competed in the state one-act competition after competing on the district level. CHS was one of only 17 schools that made it to the state-level competition. According to Wayne Cook, Cullman Theatre director, performing in the state contest is a tremendous honor. “This festival contains the highest level of high school theatre in our state. To win at Trumbauer is like receiving a state championship in theatre. Cullman received the highest score of any 6A school in the state and was honored with other 7A schools including Hoover, James Clemens, Bob Jones and Spain Park,” Cook said. 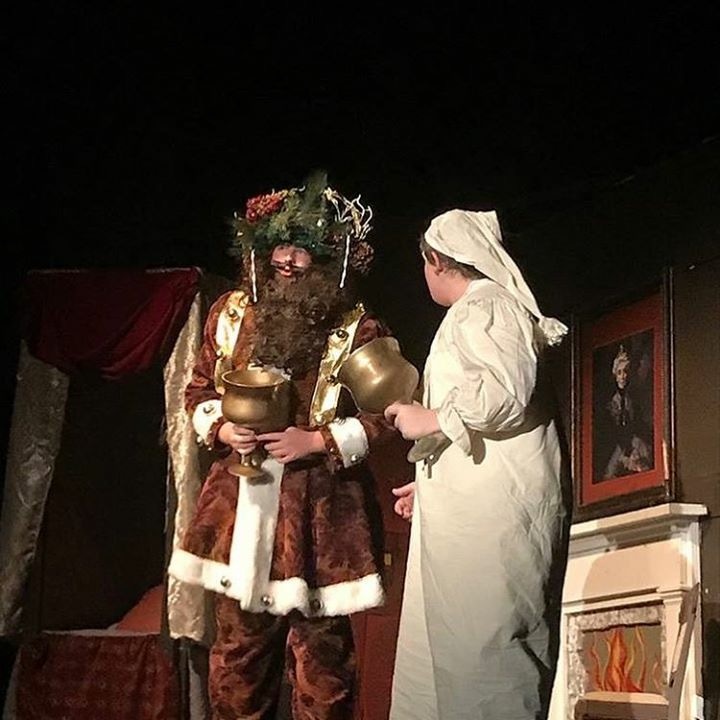 Cullman Theatre student Justin Weygand was named Best Actor in all the competition one acts for his portrayal of Ebenezer Scrooge in the production. He also won first place in Male Comedic Musical Theatre. Rutland Turner and Jady Pipes were honored and named to the All State, All Star cast for 2017. Superior medals: Rutland Turner (2), Laci New (2), Olivia Noblett, Justin Weygand, Mary Claire Page, Kayla Watts, Alyssa Sandlin, Tiffany Dotson, Graffin Shaddrix, Abby West. Shaddrix also placed second in Male Dramatic Monologue, a “huge honor for Cullman Theatre,” said Cook. CHS Theatre will perform “Scrooge: The Musical” this weekend for the public. Shows are Friday and Saturday, Dec. 8-9 at 7 p.m. in the CHS auditorium. Tickets are $10 for adults and $5 for students and will be available at the door.